Tomorrow is always coming. There is always a plan for tomorrow. That’s a great idea, we’ll start tomorrow. For most of us the adventures of life get in the way and tomorrow never arrives. I have a client base that spans the decades and there always seems to be a reason why most of them can’t jump into a great thing today. Well, why not? Technology keeps moving forward and you will need to invest sooner or later. You still need to do your due diligence and think about what will be clinically useful and represent a healthy ROI. But you need to invest in your business and keep moving forward. One of my younger clients made a $150k investment, 2 years ago, in advanced technology for a 2 chair practice. It wouldn’t surprise me if the practice did $1M in the very near future, out of 2 rooms in 4 days/wk. The practice committed on a dollar investment and then researched where to invest. Another young client who invested in a digital impression scanner is considering investing in a mill for same day dentistry, but the office doesn’t have a pan. 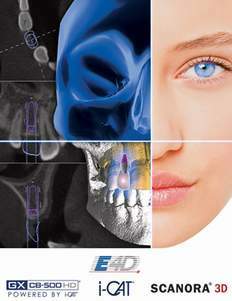 A panoramic x-ray unit represents the largest ROI of any of the dental equipment you own. Pan units will pay for themselves in 12-18 months. Then they start paying for all the other stuff. The point is, these young dentists planned an investment ladder and started climbing. Maybe it’s time to sit down with your financial advisor (hopefully dental orientated) and discus a capital investment in your business for 2015. You need to make a capital investment if you want to compete in the future but the question is how much can you invest and what can you get for it. A $3K investment gets you a Velscope or iDentify detection system or practice management software up-grades. ROI-6 months. 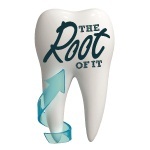 A $5k investment gets you a top of the line intraoral camera or a Carivu (Dexis owners) or a soft tissue laser. ROI-90 days. A $12k investment gets you into top line practice management software or a Carivu System (non-Dentrix users) or an office face lift (paint, floors, etc.). ROI-90 days. A $25k investment gets you into digital impression scanning. ROI-120 days. A $35k investment gets you a 2D digital panoramic System. ROI-360 days. IRS Sec.#179 allows up to $25k as of today. A $9k purchase may yield a $3k IRS tax credit (consult your advisor). The remaining $6k reduces your taxable income. How much did that $9k purchase really cost? Maybe $3.5k? Don’t wait for tomorrow to start your plan. When today is gone you can’t get it back. Please feel free to contact me at any time with any questions or concerns.